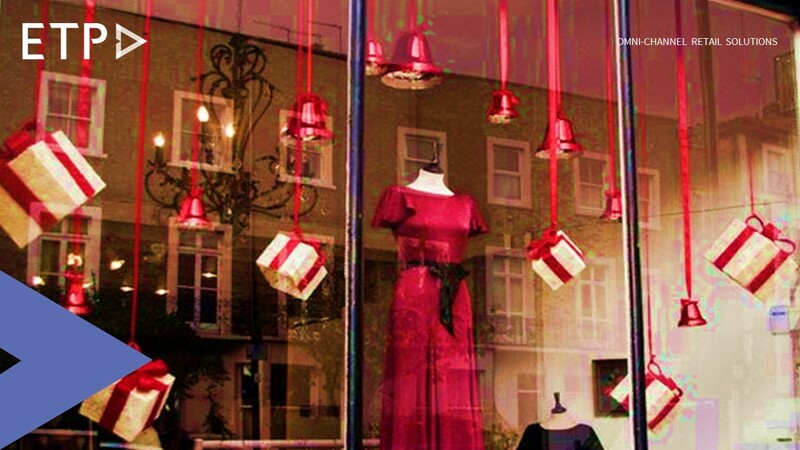 5 Festive things retailers should do to relish a successful shopping season. It’s time for the festive holiday season once again, and for a retailer, this should only mean one thing: it is time to ramp up the planning and implementation of processes. The festive season is the biggest shopping period of the year, and for many retail businesses, festive shopping can be the opportunity to really boost their sales. It goes without saying that retail owners will do their best to rise to the occasion and add that extra bling to their business. In-order to help retail companies ring in higher festive shopping sales, here are a few simple things that need to be done. Festive displays – Ensuring the displays, those at the window and in-store, shop layouts, online websites, and mobile apps are aligned with the theme of the festive season, and are attention grabbing, enticing consumers to at least take a look. Once they peek, the merchandising and product displays should be able to hook the shoppers and lure them to take further actions. At the brick-and-mortar store level, elements like lights, signage, and props can be used whereas on e-commerce sites and mobile apps, color theme, banners and images can be used to bring that festive look. Festive merchandise – Merchandise and products need to have the flavor of the festive season. As such, having limited edition merchandise for the festive season or running attractive offers on certain merchandise exclusively during the festive season is sure to spike interest amongst shoppers. In some cases, even planning and arrangement of merchandise on the shelves with some festive touch can be good enough for consumers to notice. Festive inventory – To ensure that shoppers are able to get the desired products in their preferred quantities and time-frames that they are looking for as well as to reduce the out of stock situations, retail owners must plan their festive inventories right. Not only that, they should keep a track of the stock turnover and order new inventory accordingly, keeping it ready to replenish stocks without delays. In some cases, it may be advisable to have additional stocks in order to avert no stock situations. Using techniques like ‘endless aisle’, retailers can avert lost sale situations when the inventory is not obtainable at the store. Festive support – If retailers are expecting shoppers to pour in large numbers especially during peak and rush hours, they need to hire additional staff not only at the store, but also at the call center or online support to handle such situations. This would ensure that adequate number of associates are available to assist customers in such situations. In addition to this, having extra point-of-sale (POS) counters for check-out, using handled/mobile POS devices for billing can help forestall long queues. Also, retail owners should manage their websites and apps well so that they load and update quickly despite heavy traffic. All this will ensure that shoppers experience no lags and reduced wait times warding off situations of cart abandonment. Festive offers – In the festive season, shoppers look forward most for the umpteen discounts and promotions that retail brands offer. Festive discounts and promotions are a norm now and most of the retailers run various marketing campaigns to attract customers. Thus, it is important for retail businesses to offer more relevant and personalized promotions that will entice shoppers. Using cross-selling and up-selling techniques would further benefit both customers and retailers.